Morinville, Alberta is a town of about 10,000 just north of Edmonton. It has an extensive network of multi-use pathways connecting different parts of the community. 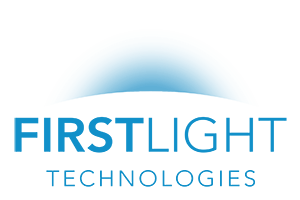 With the goal of increasing the use and safety of its network, it needed an innovative and cost-effective lighting solution. Morinville decided to install 56 of First Light’s SCL2 high-output solar luminaries. There were many reasons behind this decision. Performance: The SCL2 is able to provide a great deal of light over a wide area which increases safety along the trail after dark. Being in a northern locale, the lights are able to adapt to changes in the amount of day light through the year so that lights remain on when needed. Easier Install: Solar lighting does not require trenching for electrical wires making install easier and lessens the need for remediation. Cost Effective: Removing the need to trench and building a connection to the electrical grid meant a savings of about $141,000 in install costs. 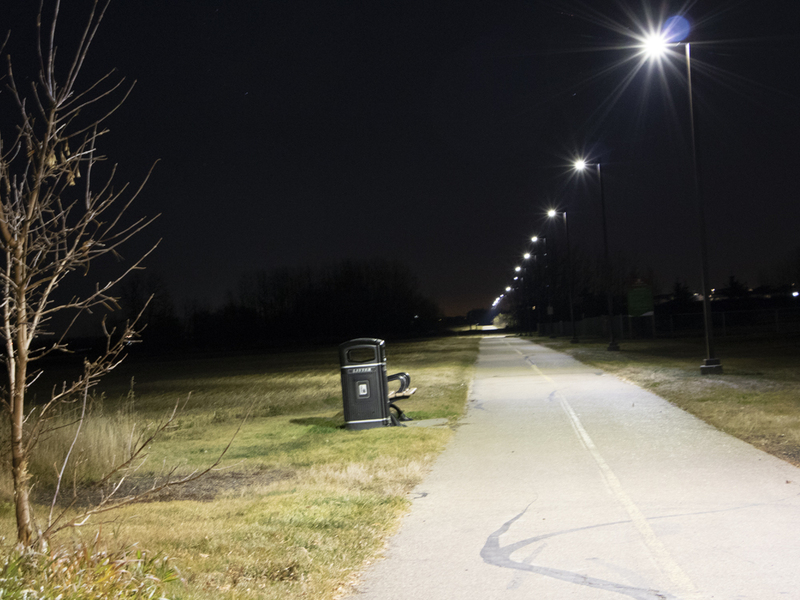 Less Light Pollution: A major consideration for Morinville was reducing light pollution to promote the preservation of natural darkness for ecological integrity, human health concerns and educational opportunities. The SCL2 offers full cut-off lighting to prevent uplight. The lights are also programmed to dim to 30% output 5 hours after dusk and have optics that ensure light only goes where it is wanted, minimizing light trespass. Sustainable: The town of Morinville has goals to reduce the ecological footprint of town property. The SCL2 means that the town can light its pathway with less pollution from installation construction while also enjoying no ongoing emissions. 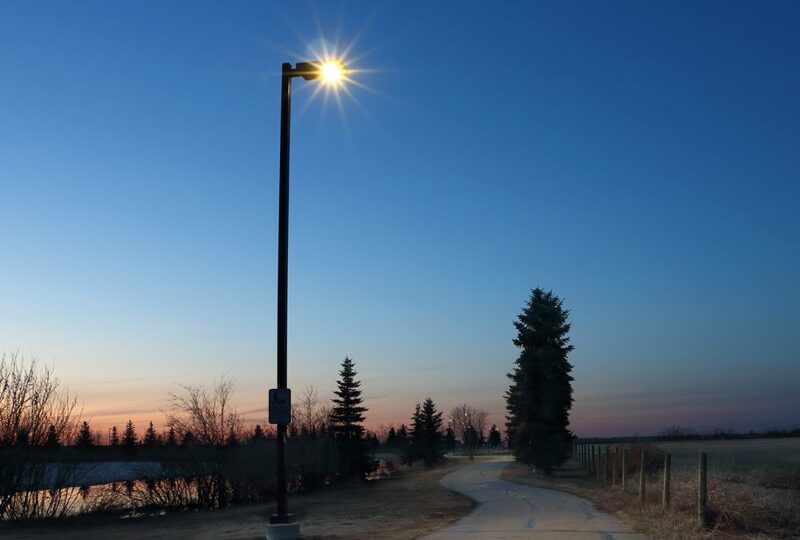 First Light’s SCL2 luminaires allowed the community of Morinville to reach several of its planning goals such as adding human scale lighting and safety to some of its well-used trails. 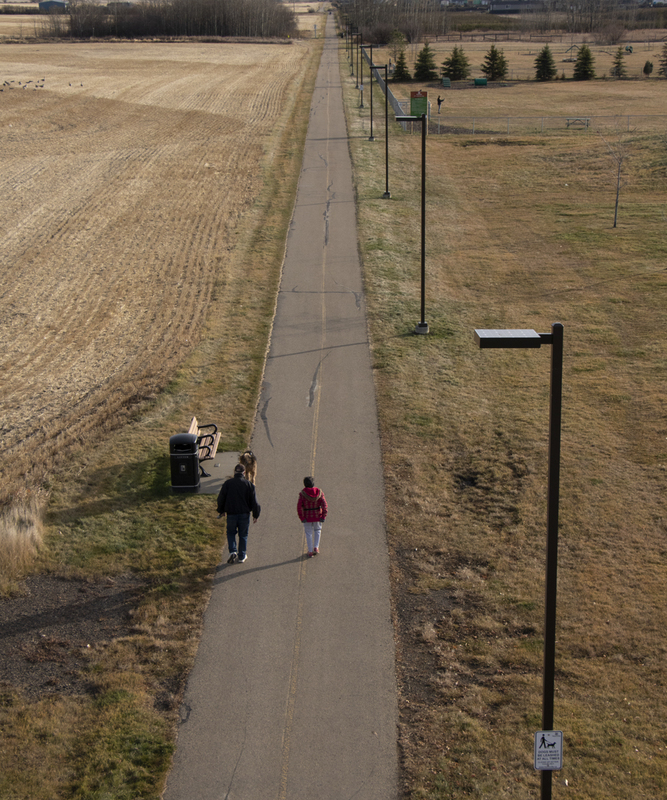 We look forward to helping Morinville light up even more of its pathway system into the future.